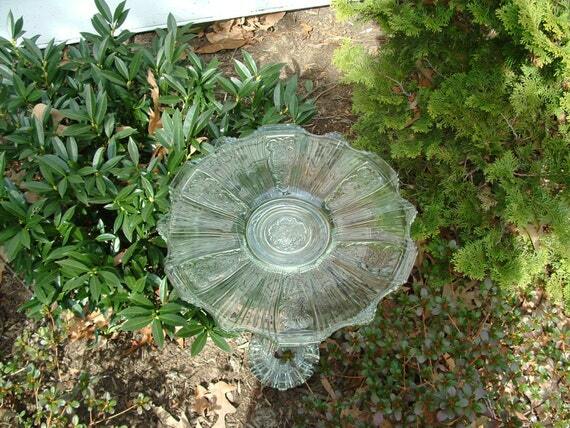 Re-Creations in Glass: "THE PENELOPE"
Graceful and tasteful garden art. The base is solid glass. The plate is so beautiful and graceful with an ever-so-slight slope--perfect for a bird bath. This item is available for sale at my Etsy.com store. Please click this link if interested.